As the mercury plummets and we spend more time indoors with our windows tightly closed, the air we breathe is re-circulated through our HVAC ductwork on a continuous basis. This can lead to a buildup of dust, debris, bacteria, and other contaminants which contribute to poor indoor air quality. Many of these unseen agents can cause significant health issues including long-lasting colds, frequent headaches, bronchitis, and chronic asthma. This is especially true during the winter months when allergens and pollutants are found in higher concentrations due to our efforts to keep the elements out and the warm air in. These unwelcome contaminants include the combustion by-products from fireplaces, wood-burning stoves, furnaces, hot water heaters, dryers, and stoves, as well as perfumes, household cleaners, carpet fibers, solvents, air-fresheners, and paint. When you add common allergens like dust, mold, and pet dander (remember your pets don’t go out as much during the inclement weather either), you have an unhealthy environment that can actually cause and exacerbate illness. Fortunately, there are several things that you can do to improve the quality of the air you breathe in your home. These include small but significant changes, like adding a couple of houseplants here and there. Plants add oxygen and actually remove toxins from the air. In fact, according to the NASA Clean Air Study, efficient air cleaning is accomplished by placing at least one plant per one hundred square feet of indoor space. However, if you have pets or small children, make sure to check for specific plant toxicity. Another way to improve indoor air quality is by using an air-purifier that includes a dust collection grid, a HEPA filter, activated carbon filter, germicidal UV lamp, a photo-catalytic oxidation filter, negative ion and sensor technology, and a washable pre filter. There are several models on the market that incorporate all of these technologies at a reasonable cost. 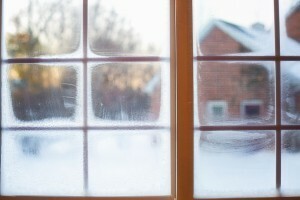 Additionally, open the windows and air out your home whenever the weather permits. One of the most important steps to achieving healthy indoor air is to make sure you change your furnace filter regularly and keep your ductwork clean. At Primetime Window Cleaning, we offer expert duct cleaning services that will reduce dust, mold, and other allergens in your home, extend the life of your furnace, and improve energy efficiency. Call us at 800-480-1360 for a free quote and start breathing easy!